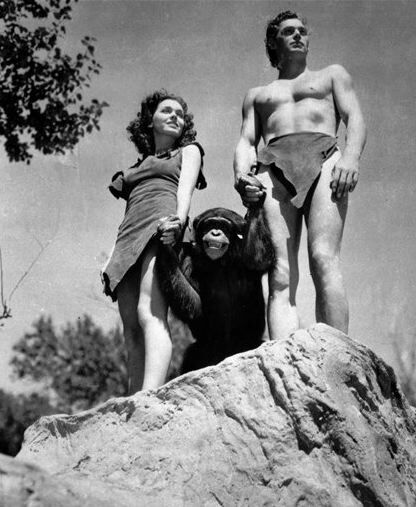 Cheetah, beloved chimpanzee sidekick in the Tarzan movies of the 1930s, died on December 24 at the ripe old age of 80. Cheetah had been a long-time resident of the Suncoast Primate Sanctuary in Palm Harbor, Florida. The cause of death was kidney failure. What makes this noteworthy is that the average lifespan of a chimp is between 25 and 35 years, while chimps in captivity may live between 35 and 45 years. Coke vs. cannabis: Which is worse? First trailer for Peter Jackson's "The Hobbit"
I'm in the Library of Congress!